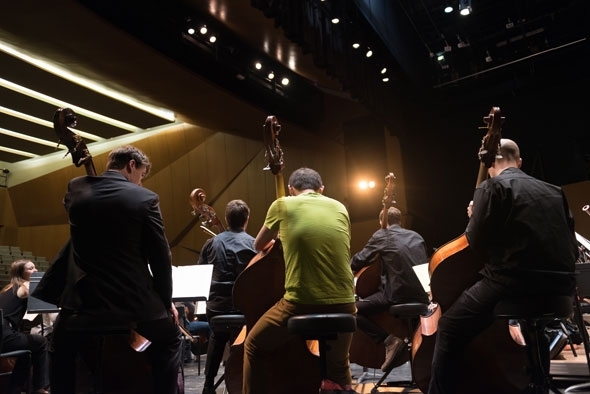 From early music to classical, contemporary or jazz, the Académie supérieure de musique of Strasbourg prepares its students for world-class careers in music performance, composition and teaching. Students learn with internationally renowned professors, performers and composers, and participate in numerous master classes with eminent guest artists throughout the year. They also have the chance to develop their skills with a number of professional ensembles and projects. and application forms available here. 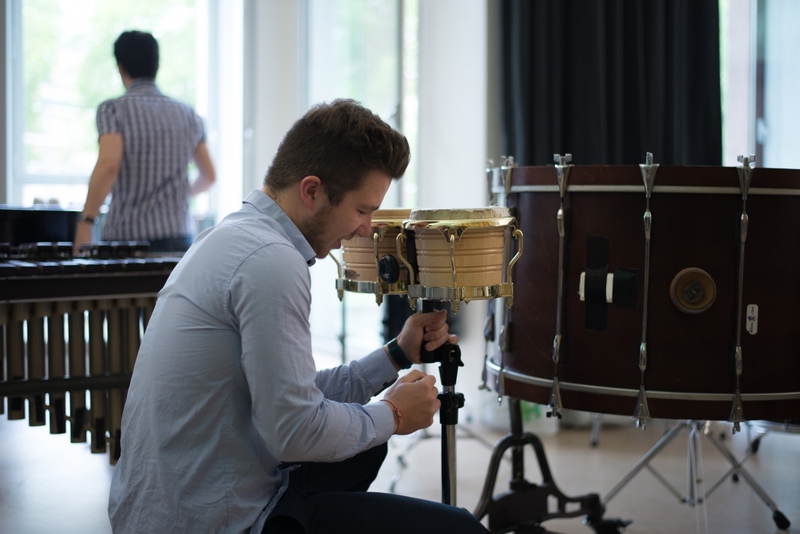 A three-year double degree designed to develop a range of musical skills and knowledge, as well as ensuring students can devote the necessary time for personal practice. It offers the possibility for students to concurrently prepare the Diplôme d’État de professeur d’enseignement artistique. In combination with the license/DNSPM, and delivered over five semesters, students can also obtain the Diplôme d’État de professeur de musique. Students will have a range of classes with leading professors at our partner institution, the Conservatoire of Strasbourg, and have the chance to observe teachers and discuss with them their methods and ideas. Strasbourg is home to many music schools, where Académie students can work with all levels of students and discover a diverse range of 21st century teaching styles. 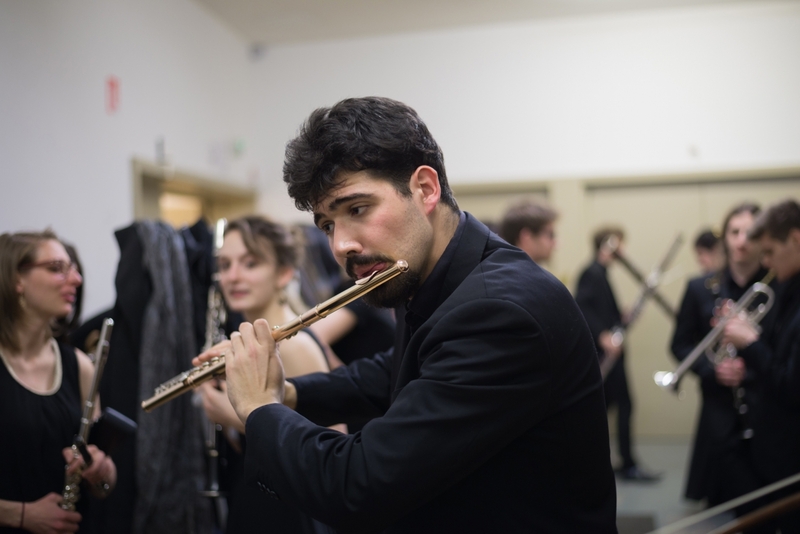 In partnership with the University of Strasbourg, this degree develops the student’s virtuosity and expertise in their chosen major, as well as advancing their theoretical, historical and analytical musical knowledge. This internationally recognised master’s degree gives students the opportunity to work or continue their studies in a doctoral program anywhere in the world. The Académie supérieure de musique of Strasbourg is situated in Strasbourg’s Cité de la musique et de la danse. The building is also home to the Conservatoire of Strasbourg, and the contemporary music festival Musica. Inaugurated in 2006, it is a landmark of a new cultural and commercial hub that includes libraries and archives, cinemas, and scientific and community spaces. Dedicated to the teaching and performance of the arts, the Cité de la musique et de la danse boasts a 500-seat auditorium that hosts major symphony orchestras, ballet and dance, and theatre productions. The building also includes several other concert spaces of 50 to 150 seats, a full sized orchestra rehearsal stage, and over one hundred rooms for classes and personal practice. Thanks to its partnership with the Conservatoire de Strasbourg, students of the Académie benefit from all areas of this cultural institution: music rooms equipped with grand pianos, percussion, organs, and harpsichords, a library with over 50,000 items, instrument rental, specialised dance and theatre rehearsal spaces, and access to a vast and diverse concert season. The Académie supérieure de musique of Strasbourg comprises ten music departments and offers more than forty music majors, including instruments that are rare even amongst French institutions, such as the accordion, ondes Martenot, and cimbalom. 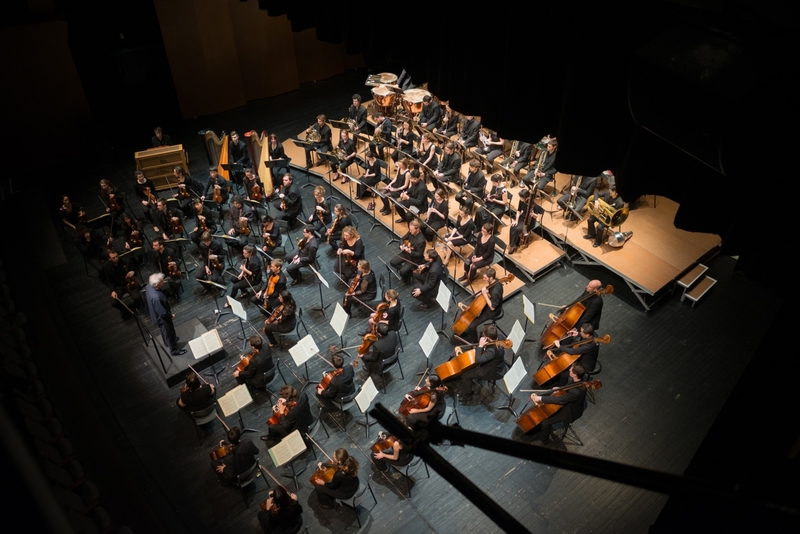 The Symphony Orchestra of the Académie and Conservatoire of Strasbourg, along with the Contemporary Music Ensemble and Concert Band, gives students the opportunity to participate and learn in a professional environment and perform the master works of the repertoire. 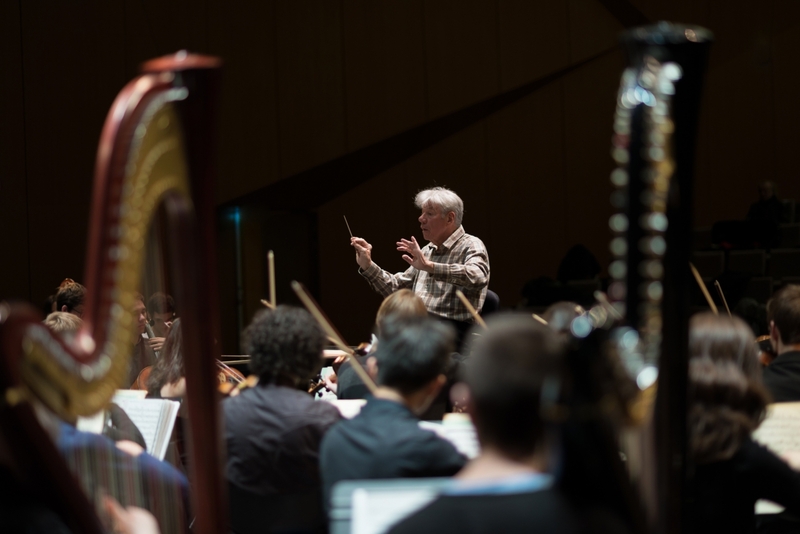 Under the direction of esteemed conductors, each ensemble has two to three sessions a year that culminate in concerts in the auditorium of the Cité de la musique et de la danse. Chamber music is an essential part of the Académie degrees. Professors assist students with all facets of their chamber music, helping them to gain a profound knowledge of the repertoire as well as performance and practice techniques. Their work is showcased in public concerts at the end of each trimester. With its exceptionally rich musical history and Germanic influences, the Académie has partnerships with many leading musical institutions: l’Opéra du Rhin–Opéra d’Europe, l’Ensemble de musique baroque, Le Parlement de musique, the jazz festival Jazzdor, the contemporary music ensembles Accroche note and Ensemble Linéa, les Percussions de Strasbourg, the Théâtre national de Strasbourg, etc. 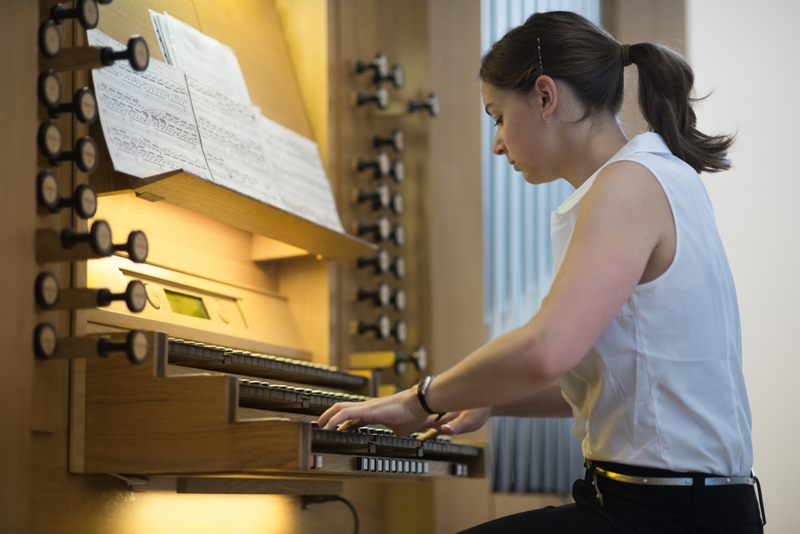 HEAR’s partnership with Musica, the Strasbourg international festival of contemporary music, has led to the creation of a concert series involving Académie students and composers. Additionally, composition students can participate in the Académie de composition headed by Philippe Manoury, where they can study with other young French and international composers. As the music department of a school that encompasses both music and the visual arts, the Académie encourages students to develop and participate in interdisciplinary projects (painting, illustration, visual learning, scenography, etc.). Students of the Académie can also benefit from numerous master classes with internationally renowned musicians and composers throughout the year. HEAR has partnerships with many worldwide institutions, giving students the opportunity to develop a rich international network and share ideas and practices Students enrolled in the DNSPM or Master degrees at the Académie supérieure de musique of Strasbourg have the opportunity to participate in an exchange program with one of 30 partner institutions. In addition to the financial support from the Erasmus program, they can benefit from several grants awarded by HEAR or the Région Alsace.